Muslims are living under difficult circumstances in various regions of the world. The people of East Turkestan in the extreme West of China, for instance, have been exposed to severe repression for the last 60 years in particular. The number of people martyred in East Turkestan together with post-1965 massacres is the unbelievable figure of 35 million. Muslims have been martyred in Palestine for some half a century. They live the lives of exiles in their own land. Reports of deaths flood in from Iraq on an almost daily basis. Our Kirkuk brothers live in constant fear of death. Muslims in Crimea are trying to survive under the harshest of conditions. The blood of Muslims is shed almost every day in Afghanistan, and thousands of Muslims have become refugees in their own country in Pakistan. Only recently, Bosnian Muslims were subjected to ruthless genocide in the heart of Europe, before the very eyes of the world. Prisons in many countries are full of Muslims arrested because of their ideas and faiths. These sufferings, killing, troubles and woes are nothing new. Muslims have been ruthlessly oppressed for around a century now. This corruption and bloodshed can be brought to an end only by the establishment of the Turkish-Islamic Union. The Turkish-Islamic Union is the clear and certain solution, the salvation of Palestine, Iraq, Afghanistan, East Turkestan, the Crimea, Kirkuk and Moro. 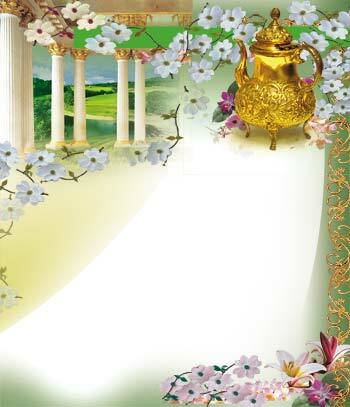 It is essential for the Turkish-Islamic Union to be established for the shedding of Muslim blood to stop, for the poverty in Islamic countries to come to an end, for the disorder, anarchy and terror in the Turkish Islamic region to be completely eliminated and for a peaceful, secure, prosperous and enlightened civilization to be built. It is impossible for a disunited Islamic world to protect Muslims from coming to harm. Only when the Muslim world, with its 1 billion or so population, unites will not a hair on the head of a single Muslim anywhere be harmed. Unity lies at the heart of Islamic moral values. As Allah reveals in the Qur'an, in the words "…If you do not act in this way (do not help one another and become friends) there will be turmoil in the land and great corruption." (Surat al-Anfal: 73) that believers must be friends and allies, united and unified, for the corruption in the world to come to an end. The Turkish-Islamic world must demand this union. Failure to demand union means demanding division instead, and division is of no use to the Turkish-Islamic world. Muslims' strength, power and best interests all lie in unity. From the early days of July 2009, China has again embarked upon martyring Muslims living in East Turkestan, right before the eyes of the whole world. China is attempting to portray this latest slaughter in East Turkestan as relieving a problem concerning its national security. But this is totally wrong and misleading. For some time now, young people in East Turkestan have been forcibly removed from their homes, on the basis of laws passed in order to provide a cheap work force, and sent to other provinces and put to work there. On the night of 26 June, 600 Uighur Turks working in a factory in the city of Shaoguan in Guangdong province were attacked in their dormitories, and subjected to severe beatings until the next morning. Some 60 Uighur Turks lost their lives as a result of this attack. A protest by Uighur Turks condemning the attack and demanding that those responsible be brought to justice was turned into a bloody massacre by the Chinese administration. The only way to put a stop to Chinese repression and to achieve an accurate result is the foundation of the Turkish-Islamic Union. A united Turkish-Islamic world will be an extremely deterrent and effective force. These rights can be given to the people of East Turkestan by means of the Turkish-Islamic Union, which will enjoy great power and authority. If such a power acts as guarantor, China's relations with the millions of Muslims in the country will be strengthened. China must be convinced and given guarantees that an East Turkestan that is emotionally bound to the Turkish-Islamic Union will not behave in a hostile manner toward China but will contribute to China's becoming a super-power.The world needs peace, love, solidarity and justice. And that is the mission that the Turkish-Islamic Union will assume when it is set up. This union will exist to bring peace to the world, not to be an instrument of hostility, vengeance or menace. This union will not be one based on oppression and repression along the lines of "everyone must be subjects to us, and anyone who does not must be enslaved." The Turkish-Islamic Union is a union of love. It is a union of affection, a union of hearts. 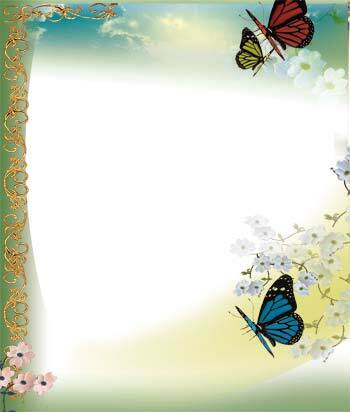 The bases of this union are love, altruism, helping others, compassion, tolerance and understanding. The aim of the union is also to achieve the highest levels in respect for human beings and in art, science and technology. Once the union is established, not just Turkish societies and Muslims, but the whole world, will attain enlightenment. The Turkish-Islamic Union will ensure full freedom of worship, belief, opinion and expression. Members of all faiths will be able to worship as they wish, to visit all the sacred sites of their faith, and the goods, lives and honor of people of whatever opinions or beliefs will be guaranteed by the Turkish-Islamic Union. When the Turkish-Islamic world is united, there will be no possibility of Muslims being persecuted, denigrated, oppressed or martyred and such things will never even cross anyone's mind. The Turkish-Islamic Union will cause regeneration throughout the Muslim world. Through the Islamic common market to be set up, products from one country will be easily marketed in another, without becoming caught up in quotas or national frontiers. Trade zones will grow, all Muslim countries will enjoy an increase in market share, exports will rise, leading to an acceleration of industrialization in Muslim countries, and economic development will lead to technological advances.A Turkish-Islamic world with a powerful economy will be a major cause of prosperity for the Western world and other societies. These societies will find a power with which they can co-operate and engage in mutual trade with no feelings of concern. In addition, the funds that Western institutions and organizations constantly pour in for the region to regenerate will no longer be required, and these funds will be used to strengthen the global economy instead. Contrary to the scenarios of clash of civilizations, this union will draw civilizations closer to one another. As a result, the whole world will benefit from the climate the union will bring about. 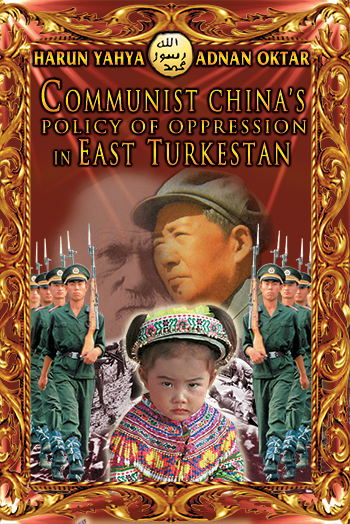 You can read Harun Yahya's book Communist China’s Policy of Oppression in East Turkestan online, share it on social networks such as Facebook and Twitter, download it to your computer, use it in your homework and theses, and publish, copy or reproduce it on your own web sites or blogs without paying any copyright fee, so long as you acknowledge this site as the reference.